The Men's Room If Hair Ain’t There, Why Shave It? If Hair Ain’t There, Why Shave It? Shaving	4 Comments on If Hair Ain’t There, Why Shave It? You know, there has been more than a few times that I’ve had guys in my chair or at my events that have complained about shaving irritation in areas where they have no hair… upper cheeks, behind the earlobe, and sometimes two or maybe three inches below the Adam’s apple. 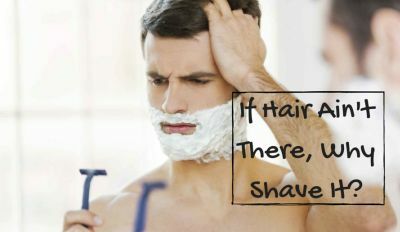 With this interesting observation I have come to the realization that many men are not only in a hurry when shaving, but are also focusing on removing all evidence of shave cream – and that isn’t always a good idea. Now don’t get me wrong, being thorough is definitely a good thing, but shaving areas just for the sake of shaving isn’t. So here’s a tip: Focus on applying the shave cream only on the most obvious parts of the face that need shaving. 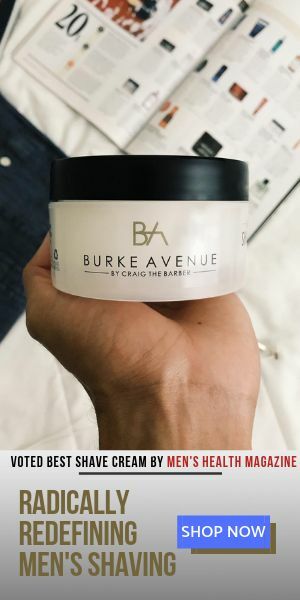 This will keep the blades positioned on surfaces of the skin that can handle a shave much better, thereby reducing the chances of creating irritation on surfaces that are much thinner, like behind the earlobe. If you’re shaving in the shower from memory, consider a fog-less mirror. This way you’ll never miss another spot or shave somewhere you shouldn’t. Reduce the number of blades you are using. If you simply can’t find a way to slow down, at least you’ll have less blades going across your skin that can cause irritation. There you have it. Because there’s simply no reason to have ANY form for shaving irritation, anywhere! Absolutely great, professional advice Craig! Take note guys!! Very good and helpful. Thanks man! My pleasure Shaun, thank you!